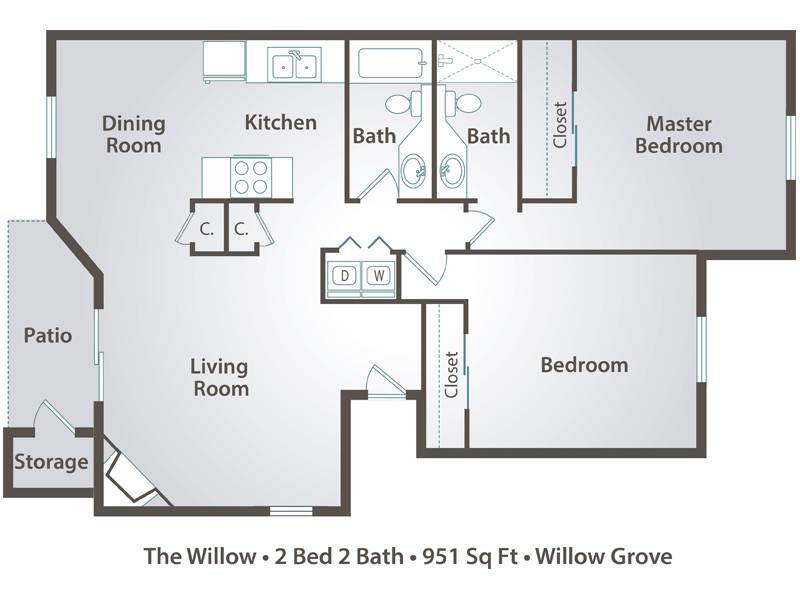 The Willow floor plan is our two bedroom two bathroom apartment home that features a master bedroom with it's own private bathroom vanity. This floor plan offers ample storage space and a large lounge style living room complete with warm two tone painted walls. This is the perfect floor plan for someone looking for luxury and style without paying the price!